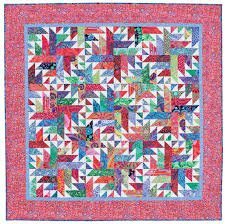 Piece together this jelly roll, scrap friendly quilt in a snap! The pattern is from the book, Scrap-Basket Beauties. This is a two session class.